For thousands of years, cultures around the world have believed that a person’s energy is like perfume—once you come in contact with someone else’s vibes, good or bad, they tend to linger for a while. 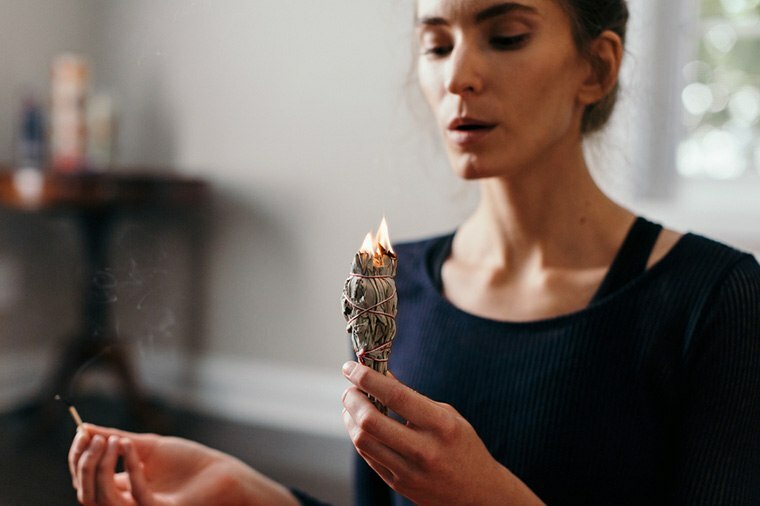 And just like a date’s overpowering cologne might require a hot shower to remove, the best way to rid your space of any negativity you’ve inadvertently tracked home is through a cleansing ritual called smudging. 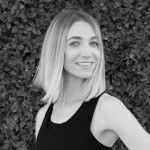 Even if you’re unfamiliar with the ancient practice, you’ve probably seen smudge sticks—you know, those fat, leafy bundles of sage that are popping up in just about every cool wellness girl’s Instagram account. Many believe this potent plant has the power to shift energy into a calmer, happier state. In other words, it’s kind of like the metaphysical compliment to your Marie Kondo obsession. Scroll down for a 3-step guide to performing a proper smudging ritual. Then, head to your altar (or another favorite space) and place your sage into a fireproof bowl or your shell. Burn a candle, set an intention, and then light the sage using the candle. “Blow it out so the embers are glowing. With both hands, bring the smoke into your heart, over your head and down the front and back body to cleanse yourself,” says Harrsen. Next, it’s time to get your smudge on. Starting on the lowest level of your space, move room to room and use your hand or a feather to waft the smoke into all four corners, where the ceiling and walls meet. Then, direct the smoke out through windows and doorways. Harrsen says most people should sage once a week. But like any kind of wellness practice, the more frequently you do it, the better. “Every morning when I awake, I visit my altar to burn herbs or incense, and say a prayer to maintain the energy of my space,” she explains. Time to updated that morning routine. Ready for more energetic spring cleaning? Here’s how crystals and probiotics (no joke) can help elevate the juju in your home. And here’s where to start if you’re in a major spring cleaning kick.